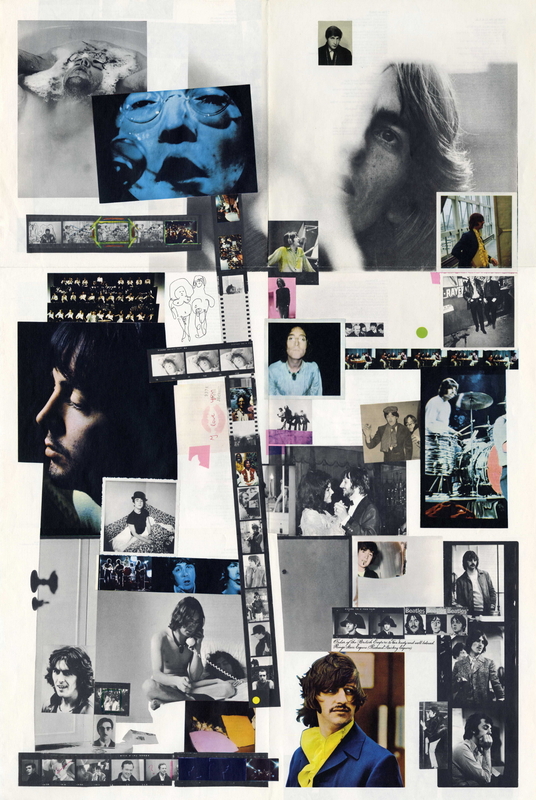 The final side of The Beatles can be seen as the climax of the album’s journey; as listeners we’ve been taken from the straightforward rock and roll of “Back in the USSR” into multiple experiences–the experimentalism of “Wild Honey Pie” and “Glass Onion”, the beauty of “Mother Nature’s Son”, “Julia” and “Blackbird”, the nightmare landscape of “Helter Skelter”, the raw power of “Yer Blues”, and everywhere in between. So how does one tie it all together into one cohesive album? As mentioned earlier, I’ve always seen The Beatles as a slow descent into hell, only to be brought back to reality on the last track. The first side starts quite normally, slowly sinking into darker territories. 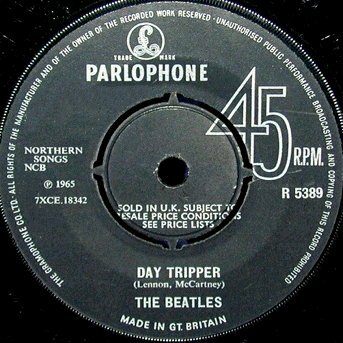 Because of this, the tender lightness of “Long, Long, Long” holds a darker edge that isn’t even recorded on the track itself; because it follows “Helter Skelter” on Side C, the listener is left catching their breath and come back to reality, and that leftover tension added to the extremely quiet production gives it that edge. So when it came time to line up the final six tracks of the album, the tension that had been building over the course of the album comes to the fore. There are tracks here that, on their own and outside the context of the album as a whole, are rather light and playful. But since they’re on what feels like the darkest side of the album and surrounded by two semi-related “Revolution” tracks, they take on a much darker edge. The childlike “Cry Baby Cry” takes on a tone of irritation; the vaudevillian “Honey Pie” feels more melancholic. Even George’s “Savoy Truffle” makes you feel the impending toothaches. And finally, we face the chaos that is “Revolution 9”. Again, even this track on its own might be considered little more than outsider avant-garde weirdness, but in the context of the entire album, it’s the inevitable conclusion to this journey–we have to face what bothers or scares us the most. And finally, after we’re left literally out on the playing fields gasping for breath, we’re brought back to reality. Sessions for the new album commenced on 30 May with this version of “Revolution”, and it has quite the history. After going over the many demos at George’s house in Esher, they commenced recording in high spirits and with a new outlook. John brought in this track on the first day as a potential single, his first overtly political social commentary on what was going on in the world at the time. As mentioned on the single version previously, he was all in for social change where it was needed; however, he was also questioning whether the “revolutionaries” really had any alternate plans to take the place of the old regime. At first he really wasn’t all that sure how he felt: did he want revolution, or did he merely want change? At the time of this version, he didn’t want to choose sides just yet, and because of that, he claimed “…don’t you know that you can count me out…in”. By the time the highly charged single version came out, he’d made up his mind to “count me out”, but here, that indecision plays with the lackadaisical feel of this version. The song is so laid back in tone that it counterpoints the radical lyrics. Even John’s singing style here–he famously laid down on the floor and sang up to a microphone above him on the 4 June vocal overdub session–feels like he just can’t be bothered. Not that this meant to take away from the message of the song, far from it; it’s more that he did want revolution, but a peaceful one. The end result is a summery jam that sounds both exciting and relaxed at the same time. This version is a truncated version of Take 20, itself an overdub from 4 June of 30 May’s Take 18. I say truncated because this version, considered the best one at the time, went on for a little over ten minutes. This unedited version, which I’ll comment on later in this post, featured a nearly six-minute jam ending in which John (with assistance from new girlfriend Yoko) delivered a bizarre interpretation of vocalized revolution. After this version was complete, however, they realized that this would not be even close to releasable as a single, and decided to truncate the wild ending. John would take the vocals and other noises from the last six minutes and create another aural revolution over the next few days. This next track was recorded near the back end of the sessions, on 1 October at Trident Studios where they’d recorded “Hey Jude” a few months earlier. [It’s interesting to note that, unlike previous sessions where Abbey Road was completely booked, they chose Trident just for change of scenery this time, which was extremely rare for them.] All four members are here playing Paul’s ode to the Jazz Age: Paul plays a tinkling piano that must be quite reminiscent of his father’s jazz band; George performs bass duties here, playing minimally here to evoke the old timey stand-up bass; John plays short choppy chords on guitar here very similar to how he must have played banjo in his youth; and Ringo delivers tight brush drumming very similar to the 20’s jazz style. They captured the style perfectly, adding Glenn Miller-esque saxophones and clarinets as background, and a nice aural touch, the brief line “Now she’s hit the big time!” is heavily limited and underlaid with a scratchy vinyl sound to evoke an old, worn 78-rpm record. It could be another example of Paul’s “Granny music” that John disliked, but it’s a fun track nonetheless. George’s fourth track for the album is a bit odd in its inspiration: the incurable sweet tooth of his friend Eric Clapton. Basing the lyrics on a number of flavored chocolates in the Good News box made by Mackintosh and the threat of having to visit the dentist after eating the whole box, George delivers a powerful rock track started at Trident on 3 October, with overdubs on 5 October (at Trident) and 11 October (at Abbey Road). It’s a searing track musically, with George delivering chunky guitar riffs and a strong double-tracked vocal (Paul and Ringo doing bass and drum duties respectively; John was not on this track), and a sextet of heavily distorted saxophones delivering not just a strong backing, but one hell of a great tandem solo alongside George’s guitar. An uncredited Chris Thomas (who’d delivered the harpsichord performance on “Piggies”) is present as well, playing a groovy organ riff here. The lyrics are simple, but it’s all about the delivery on this track; it’s one of George’s loudest tracks, and it even hints at some of the more rocking songs he’d deliver on All Things Must Pass a few years later. John started writing this track sometime in late 1967–it’s one of the last things mentioned in the first edition of Hunter Davies’ official biography, a song not quite finished at the time–and it was inspired by a television advertisement for a children’s toy proclaiming “Cry baby cry, make your mother buy…” Started on 16 July and finished a few days later, John in turn gave the track a very Carroll-esque nursery rhyme feel, where things are whimsical but with a dark underbelly. The lyrics are little more than mise-en-scene passages describing events that may sound exciting and mysterious to children, but to the adults are more tense and irritating. The music on the other hand is quite layered; it slowly builds from completely a completely acoustic John playing solo to a tight and tense full band performance. John’s vocal delivery never ventures further than a light conversation, but it counterpoints the underlying tension that’s slowly building until the song stops cold. The tension may have been from the atmosphere in the studio at this time as well, as tempers and emotions were rising more and more. There were many and varied reasons for it: the outdated and outmoded office politics of EMI and Abbey Road, the tension of the everpresent Yoko sitting alongside John at every turn, the impatience at wanting to open their own Apple Studios, and just the frustration of four musicians slowly going their separate ways but none wanting to sacrifice their own creativity for someone else’s. During the 16 July session, engineer Geoff Emerick had finally had enough, and quit. He would not work with the band again until many months later when Paul and John whipped out “The Ballad of John and Yoko”, and he would continue to work alongside George Martin on later projects, but the damage had been done. Separate from the song itself but often assigned to the end of this track on the recording is a brief untitled passage (often referred to as “Can You Take Me Back”) recorded during the 16 September sessions for “I Will” and drenched in reverb to give it an empty, lonely feel. It’s not part of the next track per se, but it’s a fine segue. Quite possibly their most infamous track, and officially their longest (not including the “Helter Skelter” outtakes or the unreleased “Carnival of Light”), “Revolution 9” picks up where “Revolution 1” left off–sort of. John was inspired by Yoko Ono’s avant-garde vocal performances of the time, and the two had just recorded their experimental Unfinished Music No 1: Two Virgins a few weeks previous, and after the decision to truncate the ten-minute version of “Revolution 1”, he decided to try his own hand at experimentation. As with “Tomorrow Never Knows” a few years earlier, he created a cornucopia of soundbites and tape loops, from bits of classical music (the final chord of Sibelius’ Symphony No 7, Schuman’s Symphonic Studies played backwards, and even the ascending violins from “A Day in the Life”), source recordings from the Abbey Road library (football chants, sound effects, and an unnamed engineer’s test recording saying “…number nine”), new vocal samples from John and George, as well as a good portion of the vocals and sound effects from the back half of “Revolution 1”. To the passive listener, this could be just a bunch of random noise, but again, just like “Tomorrow…”, John wasn’t just throwing random sounds together; there’s a distinct flow to what you hear in this track. This short, funny non-sequitur of a prologue quickly turns over to what could be considered the motif of the entire track: the oft-repeated “number nine…number nine” loop, played over a quiet piano piece. At first one might expect this to be an atmospheric piece like “Cry Baby Cry”, but that expectation is quickly changed as slowly, more and more loops are entered into the mix. Thirty seconds in, we’re starting to hear more backwards loops, both from orchestral sources and from a mellotron passage. Tension rises and releases quickly as the loops are faded in, pushed up high, cut short, and faded in and out again over the course of the first minute or so. John comes in very low in the mix about a minute in, talking randomly about day-to-day frustrations (George will come in a few minutes later), perhaps to underscore the theme (so to speak) of an eventual upheaval–an aural revolution. The track becomes denser as it goes on, not always bursting with sound, but always hinting at something more sinister, just lurking a few seconds away. Bits of the original extended “Revolution 1” finally make their appearance around two minutes in–a blaring siren-like guitar loop, John’s repeated grunts, groans, and hoots of “alright!”, among other things, even Yoko’s “…you become naked” makes an appearance in a decidedly naked part of the song (every sound aside from that line is potted down for a brief second). By the fifth minute it’s a cacophony of sounds, voices, shrieks, and sound effects (including the echo tape stopping and rewinding itself live), counterpointed every couple of seconds by a reversed angelic-sounding chorus. Nearing the end, the sounds start to fall apart; the nightmarish cacophony is disintegrating. By the eighth minute, we’re left high and dry on an American football field with yells of “Hold that line! Block that kick!”…perhaps another non-sequitur used as an epilogue this time. Love or hate this track, it’s a fascinating piece of art. The final track on The Beatles brings us back to reality, with a soothing and beautiful track written by John specifically for Ringo to sing. No members of the band play here (although John recorded a lovely piano and vocal-guide demo for it), the entirety of the music played by orchestral session musicians and given a choral backing, lovingly arranged by George Martin. It’s a fitting ending not just to the final side of the album, but to the album itself; after all the extremes we’ve visited in the course of the past twenty-nine songs, this final track brings us back down to Earth, calming our fears and seeing us into safe and relaxing slumber. The final post-recording sessions for The Beatles took place in the third week of October, with last-minute overdubs, remixes and crossfades being worked on, mostly by John and Paul. Ringo took off for a two-week holiday with his family on 14 October, leaving the other three to finish up. George left a few days later for a trip to Los Angeles, and the final mixing editing taking place on a marathon twenty-four hour session on the 16th into the 17th of October. This last session was where John and Paul built the entire album as a cohesive whole–they worked not only on the running order, but how each song would flow into the next one. As mentioned previously, their plan was to have each song flow into the next somehow, either with matching notes or sounds, crossfades, or sharp edits. The album was released a little over a month later on 22 November. 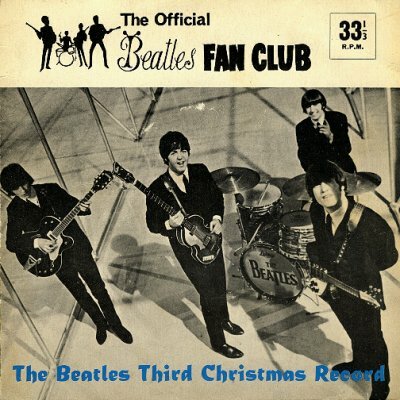 Despite many critics’ (and George Martin’s) misgivings, The Beatles was an instant success and sold nearly two million copies in the first week of its US release. It’s a hard listen, it doesn’t contain a lot of their best work, and it’s also the project that nearly split them up–the exact opposite of intentions when they first started–but it’s also a fascinating listen as well. It could be seen as the Beatles trying their hand at progressive rock–songs for listening and analyzing rather than turning up and partying with. Still, it’s a fascinating piece of work and by far one of their most adventurous, both as the Beatles and as their own. This fascinating bootleg track remained unreleased for decades, until it surfaced in March of 2009 on a European bootleg entitled Revolution Take…Your Knickers Off!. The full ten-minute version of “Revolution 1” had never been released in its complete form or in such clear quality, and a number of fans rejoiced at finally hearing it. 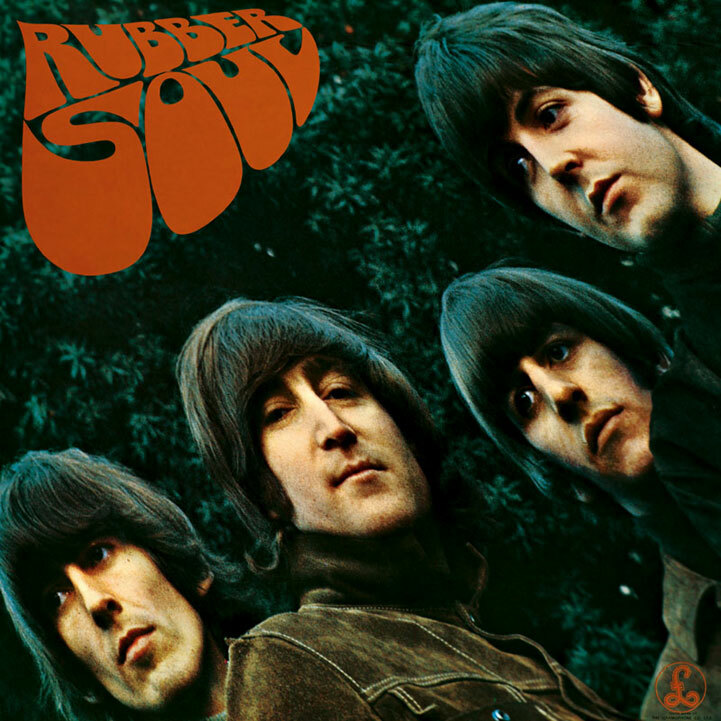 The first four minutes of the track are virtually the same as the version on The Beatles, with just a few unfamiliar overdubs (a high guitar squonk that shows up on “Revolution 9”, and a loop of the band singing a high A note in unison), and Paul and George singing a falsetto “Mama-Dada”. Soon after we start hearing the genesis of the sound effects and vocalisms that make up “Revolution 9”, in effect a more musical version of the aural revolution. The song eventually comes to a close with a breakdown and a bit of AM radio knob tweaking, John continuing to mumble “alright” and Yoko’s “you become naked” comment. Had they kept this extended version on the album, it would still have fit nicely as the starting track of Side D, or maybe even in place of “Revolution 9”. This track from George, started with rehearsals on 7 August and given multiple takes over a few days, it nonetheless was dropped from the running after they could not decide on the best version. It’s an interesting track, a sweeping and upbeat melody underscored by dark, biting lyrics. It could possibly be seen that this was George’s not-so-subtle way of telling John and Paul “don’t blame me for your personal issues”, but it’s left obscure enough that it could be about anyone. George would eventually return to this track and deliver a much quieter yet no less biting version on his 1979 self-titled album. Another bizarre track by John and assisted by George, Yoko and Mal Evans, this was started a week later on 14 August. It’s not nearly as weird and sinister as “Revolution 9”, but it could sit alongside that track as one of his more experimental tracks. It’s a simple tune played on piano with multiple sound effects and vocal layers thrown in during the chorus. At about the 2:10 mark, the sound builds chaotically with ringing bells, echoes, and maniacal laughter, only to fall apart a few moments later, ushering in a quiet, murky middle section of sound effects and hints of the melody motif, intended to invoke a descent into madness. Eventually we’re brought back to reality, with a ringing bell and brief return to the melody again, only to disintegrate once again at the end. John punctuates the end with a spoken “That’s it…! Before we get taken awa–” Although this was never officially released until the Anthology 3 compilation in 1996, it surfaced on many bootlegs, and John himself nearly released it as a solo Plastic Ono Band single (with “You Know My Name (Look Up the Number)” as the b-side!). This track never got past the Esher demo stage, it’s a meandering spiritual study of the circular pattern of life. It’s not one of George’s strongest tracks, but nonetheless he returned to this one in 1982 for his Gone Troppo album. Another track by George, this one didn’t get past the Esher demo stage either, and the band never recorded it elsewhere. Instead it was given to a recent Apple signing, Jackie Lomax, as his debut single (which features Paul, George and Ringo). It was a minor hit internationally, but did hit the Top 30 in Canada. John may have left Rishikesh in frustration and disgust, but that’s not to say that the spiritual intentions of the trip didn’t affect him somehow. This track may be a bit cloying–and sung with tongue firmly in cheek, given the overly earnest delivery on the demo–but it’s an interesting take on their India visit. The band never recorded the track, but John did return to the lovely melody just a few years later, completely rewriting the lyrics to create the track “Jealous Guy” off his Imagine album. Another Esher demo, it has a very similar feel to “Mother Nature’s Son” as a Beatles song, and would have fit nicely alongside that track. Paul never got around to writing full lyrics for this track during the album sessions, but the melody was memorable enough that he saved it for his own McCartney album in 1970. These two tracks were written either in India or soon after, and showed up on the Esher demos. They eventually showed up as part of the medley on the second side of Abbey Road. This curious little pastiche of the Beach Boys’ surf rock sound, mentioned in an earlier post, was recorded most likely sometime in mid-March 1968 while the band was in India, as the latter half becomes a quick singing of “Happy Birthday” to Beach Boys singer Mike Love, who had also come along for the trip. The band never took it seriously and never expanded on it. Quite possibly the most controversial bootlegged song attributed to the band, as it has never been proven whether or not it was actually them in the first place. It showed up on a number of early 70s Beatle bootlegs (often alongside other Beatlesque but decidedly non-Beatles tracks such as The Fut’s “Have You Heard the Word” and Peter Cook and Dudley Moore’s “LS Bumblebee” and even given multiple names, as mentioned above), but it has since been dismissed as not being by the band at all. Still, the similarities to many of the other tracks written and demoed around the same time hint that it could possibly be them–the harmony vocal is very indicative of the John-Paul-George triad, and the semi-psychedelic lyrics are similar to their 1967-era releases. Additionally, the sound quality of the tape hints that it could very well have been recorded around the same time as “Spiritual Regeneration” on low-grade cassette. On the other hand, many have dismissed it due to its low quality, the vocals that don’t quite match the band’s in tone, the fact that a large number of sketchy demos arrived at Apple in 1968 during a misguided promotional project (and this could very well have been one of them), many state it’s an early Pink Floyd demo (which I have a hard time believing–it’s not their style or sound), and the fact that none of the surviving Beatles or band associates remember it at all. Nonetheless…it’s a fascinating song in and of itself and its authenticity is still occasionally debated, which is why I share it here. End Note: Although The Beatles was a smashing success and continues to be a well-loved album, it also signaled the beginning of the end of the band. The intent was to come together as a cohesive unit, but instead they had grown apart. There are many and extremely varied reasons as to why the band eventually split in 1970, but the seeds were definitely sown during the recording of this album. The 1969-1970 era of the band is a bit confusing chronologically, as their next project after The Beatles was in fact the Get Back project, which started in January 1969, ended in frustration, and eventually returned in a much different form as the Let It Be album and movie in early 1970–but not before the “Get Back” single was released. In between was also the release of the Yellow Submarine album/soundtrack, a number of months after the movie came out in the summer of 1968. The delay was most likely due to the band not wanting it to step on the heels of The Beatles, but it also worked as a stopgap between the delayed Let It Be and their last true project as a band, Abbey Road. Internally they may have been falling apart, but externally they chose to soldier on and give their fans a quality product right up until the end.